Sometimes one discovers new aspects to a book, or even in this case an audiobook, upon second reading. Or rather, find you’ve had the same unsettling experience with it. Not so strangely, both occurred with my return visit to the first Dean Koontz novel I ever encountered, Intensity. Initially released (in the UK) the month after our first-born landed in 1995; the two coming up on twenty years, now. Its title matched my fledgling steps as a parent, let alone what the novel put this reader through with its introduction. Mr. Koontz a writer many a Stephen King fan, me included, had at least a passing awareness of over the years. Both produced many dark page-turners that built their own dedicated readership, arguably. Besides delving into elements of horror, fantasy, science fiction, mystery, and not surprisingly satire. Aspects Maine’s most famous writer and his West Coast counterpart undoubtably shared, even though stylistically they vary to a great degree on the printed page. Add in their prolific output, which fueled longtime popularity, and you can see why either’s readers would be well aware of the other. Brief Synopsis [from the author’s website]: “Past midnight, Chyna Shepherd, twenty-six, gazed out a moonlit window, unable to sleep on her first night in the Napa Valley home of her best friend’s family. Instinct proves reliable. A murderous sociopath, Edgler Forman Vess, has entered the house, intent on killing everyone inside. A self-proclaimed “homicidal adventurer,” Vess lives only to satisfy all appetites as they arise, to immerse himself in sensation, to live without fear, remorse or limits, to live with intensity. Chyna is trapped in his deadly orbit. Could have started my “Koontz” reading phase with any number of his previous titles. “Watchers“, “Midnight“, and “Lightning” surely come to mind, and certainly as well-regarded. But that précis of “Intensity” drew me in, as I suspect it did many Stephen King stalwarts. Moreover, somewhat predictable that each, via their murderous scribbling, partook in storylines involving some truly disturbing mass killers. Like jazz players, riffing off others in the field, which brings us to one more literary connection the authors, and their devotees, had in common. That’d be author Thomas Harris. His 1981 novel, Red Dragon, the game-changer for this sub-genre of crime thriller I noted awhile back. Sparked by the man himself when publishers’ famously splashed Stephen King’s exultation across book covers when he thought it pretty “ferocious.” Caught my eye and read it purely on that plug. Safe to say Intensity‘s thrust came more from Harris’ overtaking sequel, The Silence of the Lambs (1988), surely. Koontz pivoted his rendering with an even more intense engagement; a personal one with a “homicidal adventurer” and his female foe. Pressing an intimately subconscious direction done to heighten the horror of the situation. Sharpening the point of confrontation between human monster and victim-slash-adversary. The latter becoming the former’s “blown tire” moment in the process. Edgler Forman Vess another beguiling sociopath planted in a well-plowed field. Fruitful, too, for many to follow suit since Harris and publishers’ made serial killers a hot commodity in the ’80s. Koontz’s riveting variation more horror-driven than crime-related, marked by his penchant for twisted miscreants1. To say the least, a fierce novel from page one. Actually, Koontz’s uncommon heroine, Chyna Shepherd, a more anguished figure than the young FBI trainee Thomas Harris envisioned years earlier2. Though they share the same initials, at least Clarice Starling had the benefit of law enforcement training, and a barricade in-between her and you-know-who. Chyna’s supremely screwed-up childhood the only thing that’ll get her through the physical and emotional anguish the killer has in store in the quest she’s undertaken. The same force also pushed her into the gravity well of a man who firmly believes, “God fears me”, in the first place. To say nothing of somehow saving the captive, Ariel, Edgler Forman Vess has “ripening” in his basement. Herself included. Dean Koontz, as usual, engineered one of best shadowy boogie man to gather readers’ fears and make them (and his victims) sweat. Extreme in manner and boasts, fearless in challenging nature, or insert your favorite deity here. Answered by the author with a carefully plotted rejoinder. Somewhat forgotten nearly two decades later, Dean Koontz conjured one of the most insidious villains in popular literature. Balanced against an antagonist capable of being “…the destroyer of his bright future.” Each set to deliver the worst 24-hour period for the other in 343 pages. One that’ll stick in the mind of the reader with each page turned, little respite even with its finish. A thrill-ride that accounted for scads of nightmares, horrific images, and psychological torment to fill anyone’s Halloween dance card. 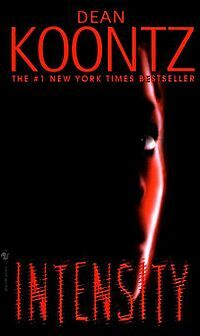 Intensity also was one of my earliest audiobook experiences, and cemented the form into my life as a new pastime. A lifesaver in other words as my well-established book consumption took a header when parenting kicked that luxury aside. Begetting a newborn left precious little spare time for the recreational reading I once lazily enjoyed. Especially for a then forty-something taking on this life-changing (ending?) endeavor, which none of the parenting brochures warned me about, by the way. Luckily, still had a cassette deck in the vehicle — the same that transported my very pregnant bride to the hospital for the Columbus Day delivery of our son — to afford listening to this as I travelled back and forth from work and…work. Narrator Kate Burton kept the suspenseful tale immediate for the listener, even as she vocalized between two very distinct personalities (plus the victims and extras butchered along the way). Meaning, I’d stumbled on to one of the best, delivered by the daughter of Richard Burton and Sybil Williams. Couldn’t asked for better. Random House studio managers smartly choose a woman reader for the production. Hard to imagine a man, even a very good one, giving voice to Chyna the way Ms. Burton did. As much as the male villain intrigues, what plays out in the daring captive’s head during the worst of it is what kept it at a supremely suspenseful level, especially in audio. What may be equally surprising for some who’ve never done a Dean Koontz novel, let alone read this one, Intensity cast a longer shadow than otherwise expected. Case in point, the 1997 two-part TV movie adaptation, which originally aired starting August 5th in the U.S on the Fox Network. A quite decent distillation elevated by John C. McGinley’s scene-chewing Edgler Forman Vess (even though he doesn’t come close to Koontz’s description) and Molly Parker’s valiant Chyna Shepherd. A worthy pairing that merits digging up the 2007 DVD MOD. As one would expect, can’t have it all without some controversy these days. 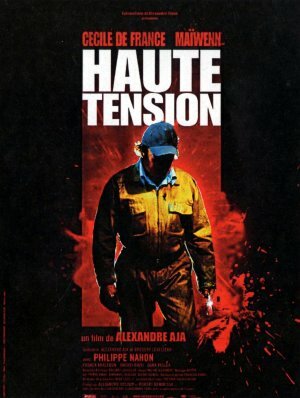 Focusing attention on the French feature film, Haute Tension (2003). Though director Alexandre Aja conveniently omitted citing “Intensity” as a source, anyone familiar with either story could spot the similarities. The inane twist at the end in this early example of New French Extremity horror perhaps purposeful not only to screw with the audience, beyond the ridiculous amount of blood and gore, but avoid being sued for plagiarism by the author3. Which finally brings us back to where this examination started, with Stephen King. 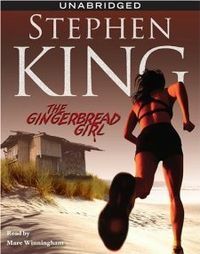 His novella (first published by Esquire in their July 2007 issue) “The Gingerbread Girl” was featured in his fifth short story collection, Just After Sunset. The book by sheer chance I started reading right after my Intensity revisit. Along with my son’s birthday today and one of the reasons stated above*, the final boost I needed to write the review twenty years in waiting. A clever re-tasking of “Ariel” in King’s story, if I do say. * Warning: only read on if animal abuse doesn’t wreck your calm as I relay something I still wish I could un-see. Returning to “Intensity” again dredged up a memory most people wish to forget; at the very least suppress. Future sociopaths’ penchant to “practice” on animals or pets in their youth. The likes of Vess recalling a day during my childhood, crossing the nearby railroad line, headed to mom’s house, when I stumbled upon a teen swinging what looked like a line of rope with a weight at the end, lariat-like, along a vacant gravel stretch by the tracks. Seeing him let what weighed it land after a half-dozen orbits. Watching with dismay when it began to slowly move. Try and crawl away, truth be told, before the miscreant started swinging it again. A black kitten at the end of a leash. Nicely written and creepy article. 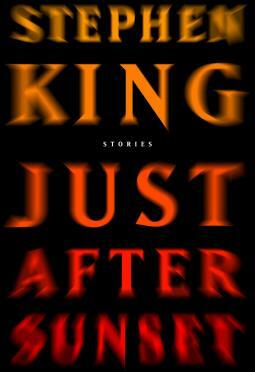 I think King has always been heavier, sophisticated writer than Koontz. I was in a Koontz phase and read about 10 of them and then they started to sound the same (like Patricia Cornwell) and I put them away. Sounds like our childhood was similar. I remember cats tied to clotheslines and frogs stuffed with firecrackers. Sigh. Stephen King kind of peaked out in the suspense and intensity departments very early on with me and his ”Salem’s Lot’. A definite page turner that blends Gothic, haunted houses and Vampires though the eyes of a kid. Seems to perform better in later novellas. Dean Koontz, like King seems to have to write. Caught one of Koontz’ very early paperbacks, ‘Dragonfly’ (1975). A very well detailed, way ahead of its time Government conspiracy tale. Written under pseudonym, K.R. Dwyer. Still have to fall back on what I grew up with as a kid. H.P. Lovecraft (Founding Father of Fantasy and Sci~Fi. Takes the long way around a tale, but the trips are delightfully worth it!). Dashiell Hammett: The origin and personification of the “Pulp” genre. Very well known for Sam Spade and Nick and Nora Charles (The Thin Man). But his nameless “Continental Op” reigns supreme in countless short stories and novellas. Making “Red Harvest” and “The Dain Curse”required reading. With an economy of words. Fully fleshing out of characters completely in one paragraph. The only contemporary writer with that skill is the late, great Ross Thomas! Raymond Chandler. Master of mood and wry humor in class warfare on both sides of the law. Joe Gores has excelled in day to day, blue collar San Francisco private investigation, car repossession, cheating husbands and wives. With the crew of Dan Kearney & Associates. “Gone. No Forwarding”, “Dead Skip” and ’32 Cadillacs” and “Cons, Scams & Grifts” lead the pack. His “Maltese Falcon” prequel, “Spade & Archer” rocks in period detail, mood, settings and suspense! Great to have you chime in on this, Kevin. King’s ‘Salem’s Lot’ for me was one of the rare times a book actually gave me a true nightmare. Yes, both King and Koontz were into shadowy government conspiracies and experiments in a few of their novels. I’ve only read a few of H.P. Lovercraft’s work. Certainly King detailed his influence on him in ‘Danse Macabre’, which is a recommended non-fiction read (I did it again last year for Halloween). Can’t go wrong with either Chandler or Hammett, too. Oh, I’d certainly heard of the prequel, “Spade & Archer”. That it “…rocks in period detail, mood, settings and suspense!” means it goes on my TBR stack. Thanks for this and the deft comment, my friend. I’m a big King fan but have never read a book by Koontz, though I know the name. 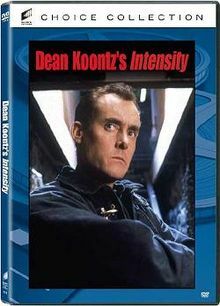 I think I’ll get me a copy of Intensity from the library, it sounds right up my alley! That’s great, Jordan. Different for sure. I haven’t had the pleasure of reading “Intensity” yet, but it is certainly something that I would like to read. I have heard similar responses from other people regarding the impact the book had on them.